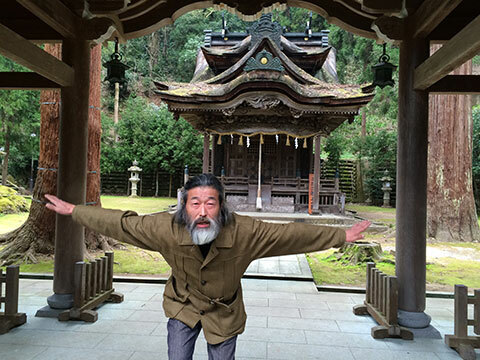 A "world of fire, a world all dark, totally red ..."
Welcome to the home page of Kumano Kurouemon, a unique wood-fire art potter who toils in isolation in the snow country on the "back side" of Japan. 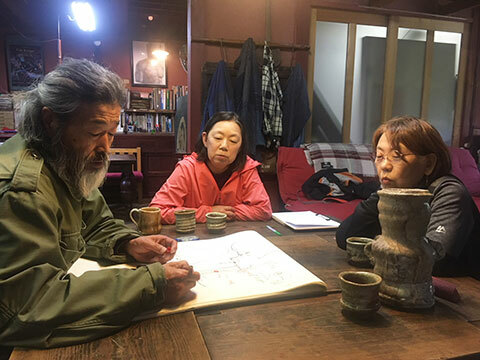 This site is maintained by admirers of Kumano who believe his powerful works in clay stand out like volcanoes on the rim of the Japanese pottery tradition — distinctive, beautiful, challenging — and should be experienced by as many lovers of ceramics as possible worldwide. Kumano's production is small and his pieces until fairly recently were rarely seen outside of Japan (see Writings links). However, a large solo exhibition was hosted by Germany's Keramikmuseum Westerwald in 2004–05, followed by a month-long workshop at Fachhochschule Koblenz in 2006, so at least some Europeans are getting to know the man and his work a little better. 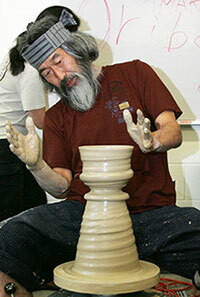 Similarly, in the United States, a few years ago Kumano led a highly acclaimed workshop in Piedmont College (Athens, Georgia). He returned September 16–19, 2016, and held a workshop at Bridgwater State University (Bridgewater, Massachusetts), from September 21–23, 2016. Not to be overlooked this time are the two "travel pillow" vases, a signature shape of Kumano's, plus all three tea bowls, each exceptional in a different way. Also worth mentioning is the strong selection of sake pourers and cups. 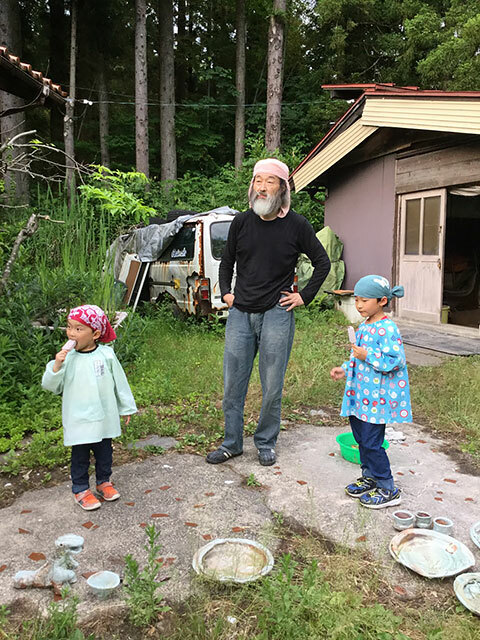 As he has done once or twice in the past, Kumano concentrated this past 12 months on painting and writing. He is in good health, but all the 21 pieces in the update are from firings in 2017 and before, assembled from his private "reserve." 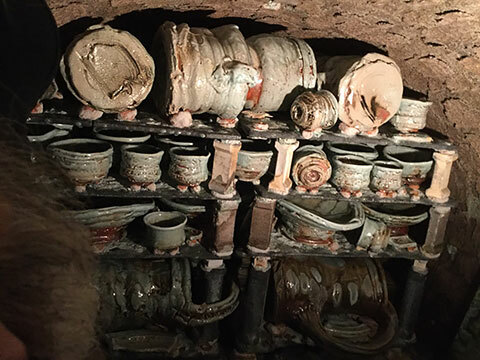 Note: After the initial selection was made for the update, the Bear added three more pieces that he felt professional potters (and others "in the know") would especially appreciate. See if you can spot the works he added. Feel free to write me with your guesses. If you identify all three, $25 will be deducted from any purchase: Sales Page.